The Shipwreck Island series by S.A. Bodeen is one of my go-to series for reluctant readers and kids looking for shorter adventure books. 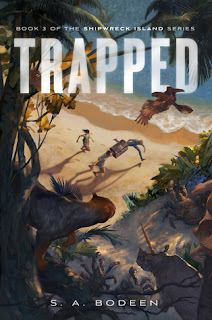 However, the third entry in the series, Trapped, is definitely the weakest, as it zips off on a strange tangent that doesn't really gel with the story so far. Basically, we've gone from Gilligan's Island to Lost in Space without much of a transition. At the end of Lost, Sarah and her stepbrother Marco enter a structure on the island where they have been stranded, and inside are hundreds upon hundreds of pods filled with frozen animals--and people. Sarah's dad and Marco's little brother Nacho, along with Ahab the dog, are the pods' newest denizens. This is straight up creepy and not a little X-Files-ish. There's someone in the room with them, too. A shape-changing person who attacks them with a sticky web-shooter. I don't know, I'm just telling you what happened. Bodeen is keeping it nice and chill with a web-shooter. 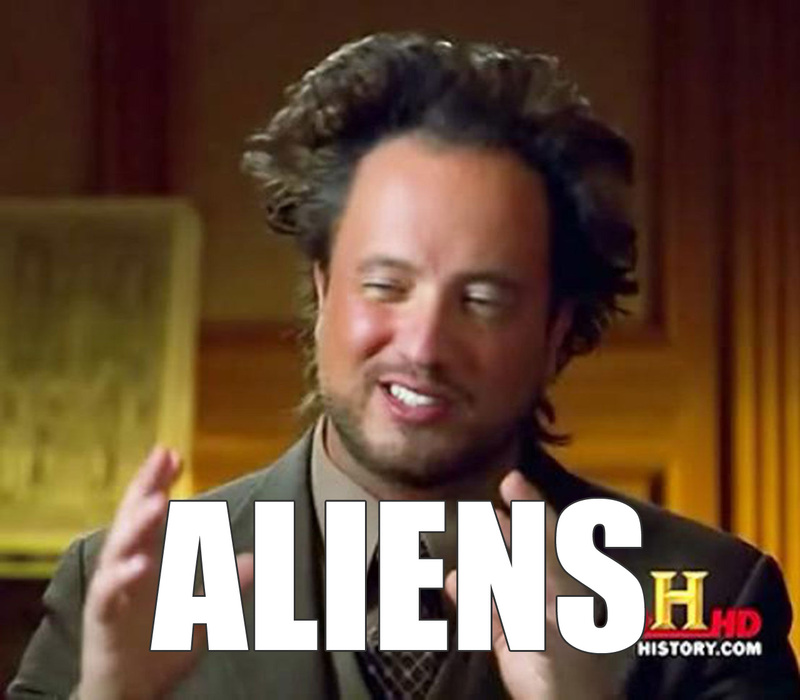 Long story short, the shape-changing kid is an alien, and his name is Leo. He has telepathic powers that he uses to infodump his people's entire history into Sarah and Marco's brains. Leo has a mission to complete: he has to use his people's progenitor, which is a machine, not a person. The progenitor is like a 3-d printer for living things. He has to create animals to fill all the pods on his ship and bring them back to his home planet, which was rendered lifeless by atomic warfare. I can't really explain what happens in the book without giving you a blow-by-blow, but suffice it to say that if Leo doesn't fill up all the pods with creatures, he's not going home, and the Robinson family is never getting off the island. Plus, the very bad man who marooned Cash on the island and kidnapped her grandfather is definitely coming back. While the premise of the frozen people in pods had a lot of potential, Trapped unspools the story in such a totally unbelievable way that the fun and excitement of the story is lost. I spent my time groaning at the overwrought pathos of this whole alien-saving-his-homeworld schtick instead of having fun running away from the killer crabs and crocosharks on the island. Learning about a race of vaguely amphibian aliens who can make and do whatever they want isn't as interesting as I would have thought. I forgot to tell you: Leo has gills and webbed digits. I really hope the next book in the series finds its groove, puts the brakes on the aliens, and integrates the survival story. All of the mystery of the strange island falls flat when it's just explained away with aliens.